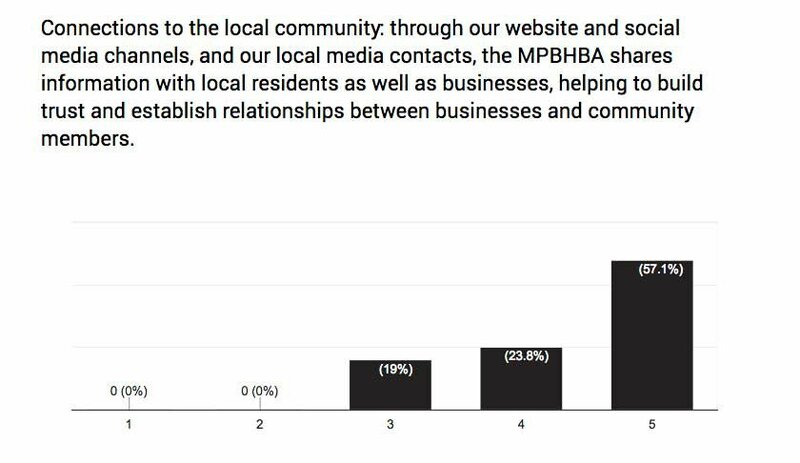 Thanks to the many business owners who took the time to complete our members’ survey. 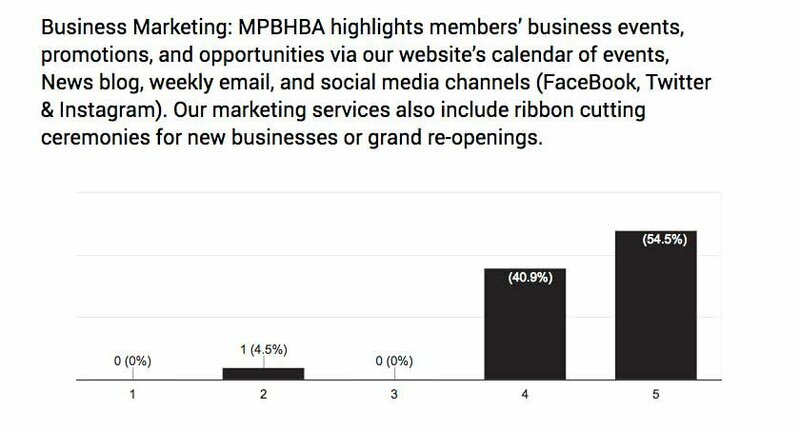 Your feedback is incredibly valuable to the MPBHBA board. We are studying it carefully and will use your input to guide our programming. Following are some of the key insights from the survey. Again, thank you for your support!